The Maine Green Independent Party (MGIP) was founded in 1984, six months before the establishment of a national Green Party -- the first and oldest state Green party in the United States of America, and home of John Rensenbrink, principal founder of what is now the Green Party of the United States (GPUS). Browse our site, explore our history, platform, issues, elected officeholders, candidates, organization and goals for your future. The MGIP would like your thoughts on party goals and priorities. We welcome your input and look forward to discussing these goals at our convention. Thank you! What do you think the party’s top three goals should be? What issues most resonate with you? What current political issues should the party take position on? In 2018, there were 42,400 Green Independents statewide, with 1,700 new members since 2016 and making up 4.1% of the electorate. What offices would you like to see Green Independents elected to? Please submit any by-laws amendments you would like to be voted on at this convention by April 18 th 2019. We will be sharing a potluck lunch. Bring your favorite dish! For more information about the convention, call Jacqui at 207-284-3358. We do not accept dirty corporate money and rely on donations from good people like you. 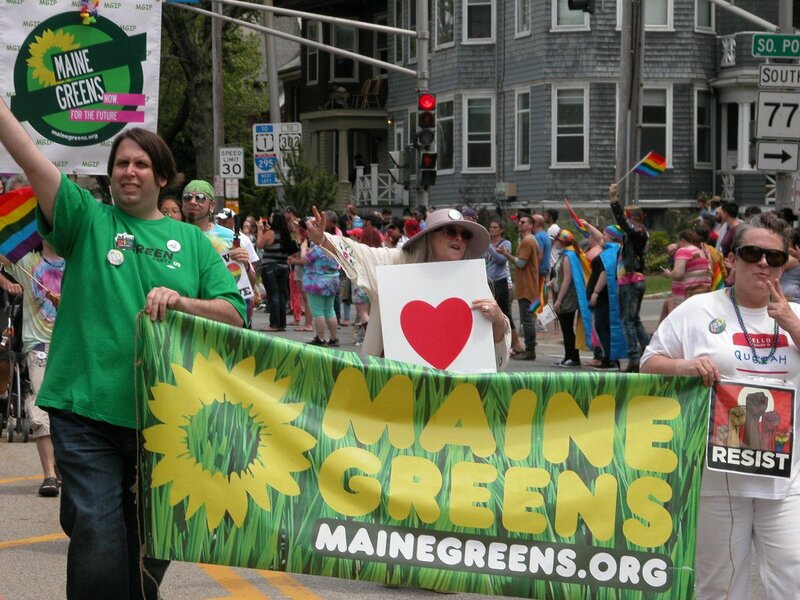 Please visit our website donations page to help the party move forward with our goals at mainegreens.org.